﻿ Hotel Centro Di Spiritualita Padre Pio, San Giovanni Rotondo | FROM $57 - SAVE ON AGODA! "Will definitely book again to this hotel." 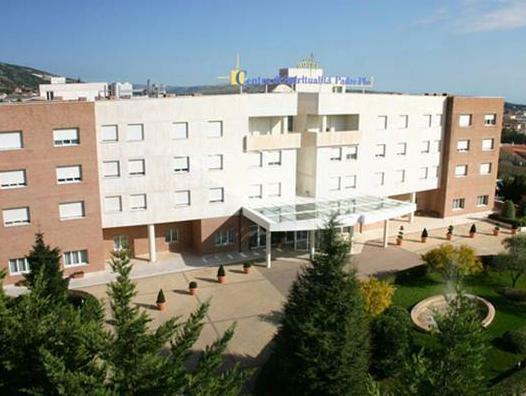 Just 5 minutes' walk from the Padre Pio Sanctuary in San Giovanni Rotondo, this 4-star hotel features a restaurant, and a spiritual center with 2 chapels and a convention hall. All air-conditioned rooms come with satellite TV and free Wi-Fi. 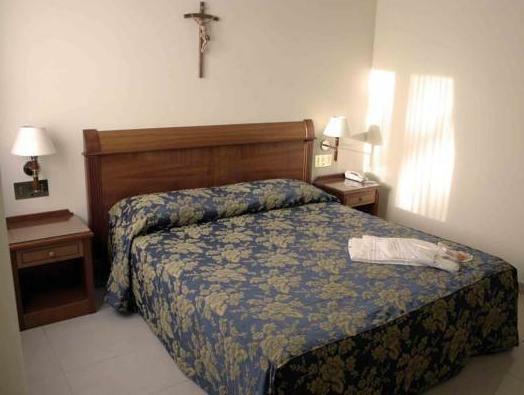 Hotel Centro di Spiritualità Padre Pio is 7 minutes' walk from the Casa Sollievo della Sofferenza Hospital. The town center is 1.1 mi away. 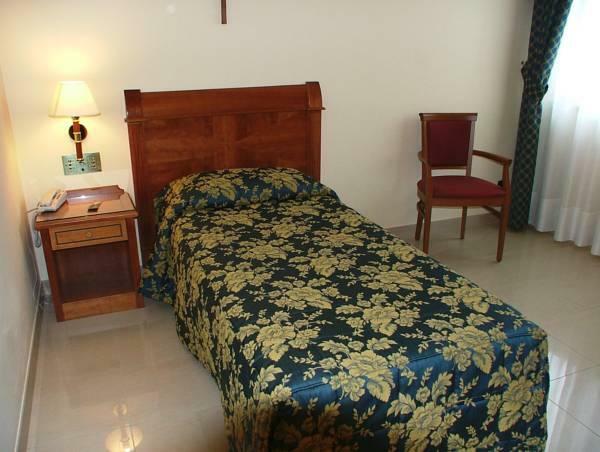 A soft bathrobe and slippers are provided in every room at Centro di Spiritualità. Each has a private bathroom complete with hairdryer and toiletry set. Some rooms offer a balcony. Breakfast is buffet style, with cereals, sweet pastries and fruit juice. The hotel restaurant serves both Italian and international cuisine for lunch and dinner. Parking is free at the hotel, and it is 40 minutes' drive to the A14 Motorway. 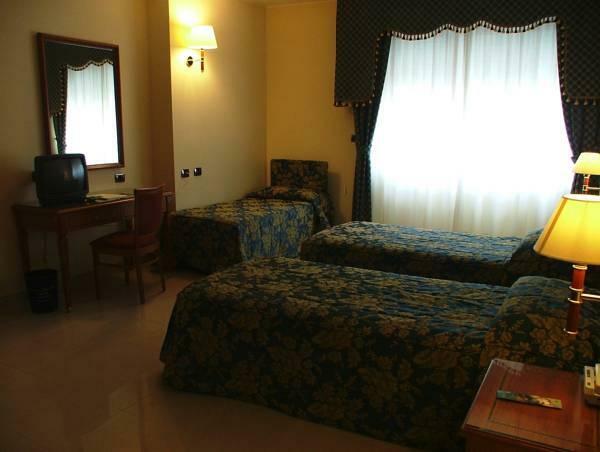 Transport to Foggia, Naples and Bari Airport can be arranged at reception for an additional charge. 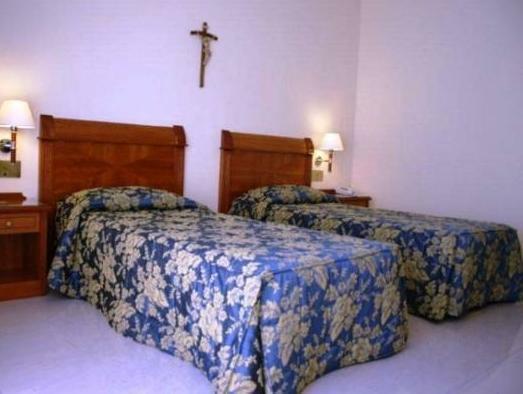 "Very clean and breakfast buffet is included in the price." Friendly staff, good sized rooms, limited choice of food but very good value. We stayed one night on a trip from Rome so prices were much lower in comparison! Excellent place to stay.. very clean and breakfast buffet is included in the price. Hotel serves lunch and dinner to hotel guests as well but selection is limited to two. Still very good choice and dinner price is only €16 per person. Will definitely book again to this hotel..